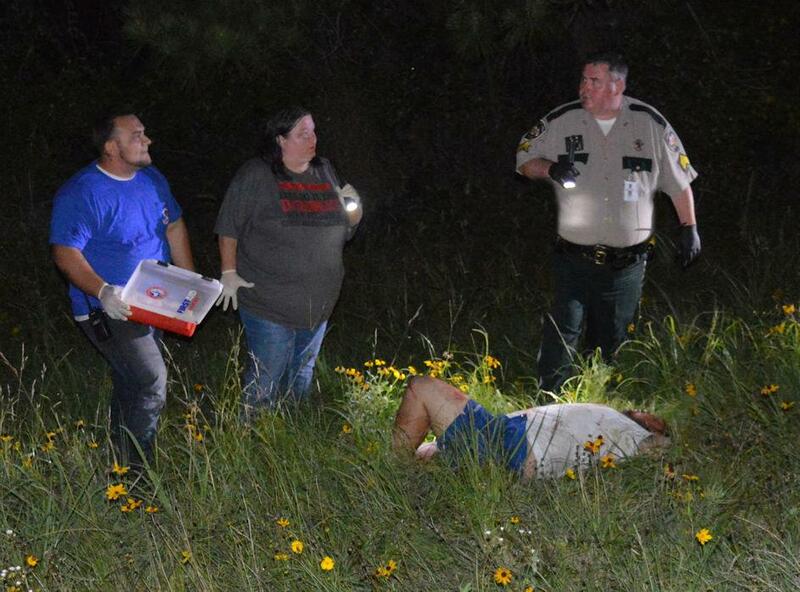 27 year old Luis Armando Rivera-Arguello, of Reynosa, stopped to help and was struck by a car collision on US-59. He was transported from the scene and passed away a short time later. Names Released From Major Accident That Killed Good Samaritan, SEVEN OAKS, June 10, 2017 - The names of the accident victims have been released from Friday night's accident (06/09). Shortly after 10 pm a silver 2001 Lexus RX3, driven by Cristian Jonathan Cruz, 20, of Houston was south-bound on US-59 and swerved to avoid a mattress in the road. Cruz lost control and rolled his vehicle. An 18 wheeler, driven by 27 year old Luis Armando Rivera-Arguello, of Reynosa, pulled his rig to the right shoulder and got out to help when the Lexus was slammed by a south-bound silver 2002 Mercedes E-Class driven by Alfred Zadoorian, 59, of Pulaski, Arkansas. The collision slammed the Lexus into Arguello causing massive injuries. Additionally, Cruz's passenger, 20 year old Jacalyn Denise Jones, of Pasadena, was severely pinned inside the Lexus. Zadoorian was not injured. Sadly, Arguello passed away shortly after being transported from the scene. Cruz was flown to Conroe Regional Hospital where he remains in critical condition. Jones was flown to Hermann Hospital in Houston. Nobody knows who owned the mattress that sparked the major accident. A mattress that was stuffed with foam pieces was laying on the south-bound of US-59 in North Seven Oaks caused a major accident that took one life and left another driver in critical condition. EDITOR'S NOTE: Driver names have not yet been released from this accident. 1 Dead, 1 in Critical Condition from Mattress Caused Accident, SEVEN OAKS, June 10, 2017 - Shortly, before 10 pm on June 9, 2017, a silver Lexus SUV was south-bound on US-59 in the north end of Seven Oaks when they drove up on a mattress that was laying in the middle of the road. The driver swerved to avoid the mattress and lost control. The vehicle rolled and came to rest upside down in the lanes of traffic. An 18 wheeler driver pulled his rig over to assist and ran around to help a passenger who was trapped inside the Lexus. The driver of a Merecedes Benz sedan who didn't see the flipped SUV until it was too late slammed into the Lexus. The impact knocked the SUV into the 18 wheeler driver causing massive injuries. The driver of the Mercedes pulled to the right shoulder (he wasn't injured). It is not yet clear if the driver of the Lexus was ejected from during the rollover, or the impact, or if he had crawled from the car before impact. He sustained massive injuries. A passenger in the Lexus was severely pinned in and couldn't move. Allegiance Ambulance Service was dispatched to the scene along with the Corrigan and Livingston Volunteer Fire Departments, Sergeant David Ramsey with the Polk County Sheriff's Office and Troopers Zach Lenderman and Nick Hatton with the Texas Highway Patrol. In a horrible turn for the worse, the good Samaritan 18 wheeler driver who tried to help passed away shortly after being transported from the scene. Two PHi Air Medical helicopters and one Life Flight medical helicopter were summoned to transport the injured. Firemen used the Jaws-of-Life to cut the Lexus open and safely remove the female passenger. The two occupants of the Lexus were flown out. All traffic on the south-bound side of 59 was blocked for over an hour during investigation and cleanup. It is not known who lost the mattress that caused the accident. All vehicles including the now unoccupied 18 wheeler were recovered by Clifton Chevrolet out of Corrigan. This accident remains under investigation by the Texas Highway Patrol. We will update as soon as we get more information on driver names and other info. WARNING: The images below show scenes from a 2 vehicle major accident. If any of this offends you in any way, DO NOT scroll down this page. Troopers Zach Lenderman and Nick Hatton retrace the path of the Lexus that lost control when it tried to avoid a mattress in the middle of 59 south. This Lexus SUV had swerved to avoid a mattress in the road. The driver lost control as his vehicle rolled. It came to rest upside down and was then slammed by an oncoming Mercedes Benz sedan. The passenger of the Lexus was pinned inside the wreckage and sustained major injuries but is expected to live. The driver of the Mercedes (upper right of picture) pulled to the shoulder but wasn't injured. The driver of the 18 wheeler who stopped to help was impacted from the collision and sustained massive injuries and passed away shortly after being transported from the scene. Firemen work to free the passenger from the Lexus. The driver of the Lexus was found in the grass by emergency personnel. It is not clear if he was ejected at some point during the accident or if he had crawled from the wreckage. He was flown from the scene in critical condition. The mattress (stuffed with tiny foam pieces) was struck and exploded all over the road. 2 PHi Air Medical helicopters sit on the south-bound side of 59 as a third helicopter (Life Flight) touches down next to them. The passenger who was pinned in the mangled Lexus SUV was safely cut out of the vehicle and loaded onto a medical helicopter and flown out. The driver of the Lexus was also flown out in critical condition. The 18 wheeler who no longer had a driver was recovered by a heavy duty wrecker from Clifton Chevrolet out of Corrigan.